With its skateboard design, the Easy Cruiser LED ceiling light is a truly special item. 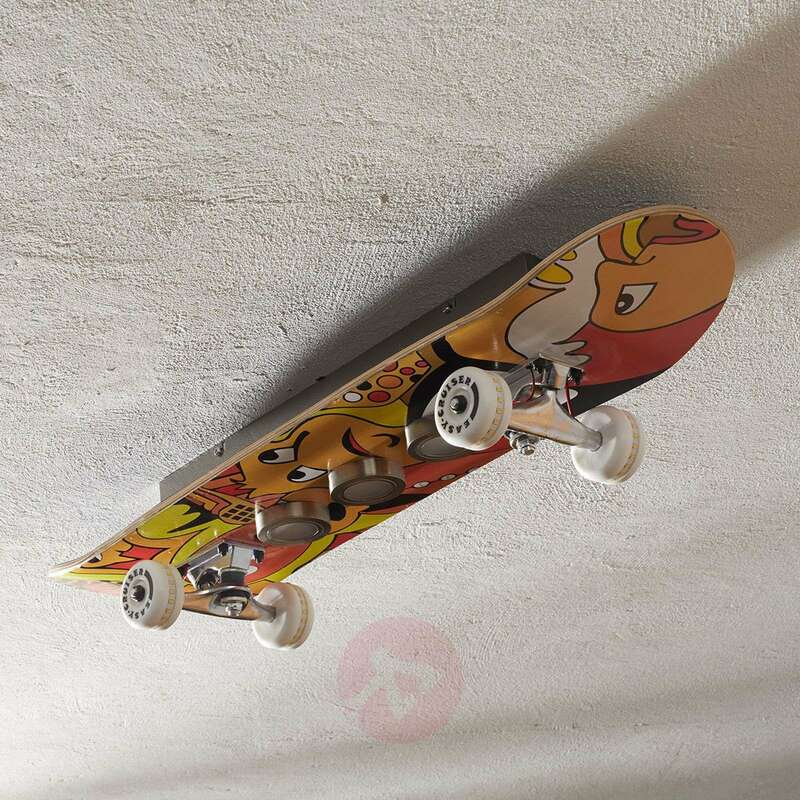 The skateboard has been painted in vibrant colours with an artistic motif. Between the wheel axles sit three round LED spotlights with warm white LEDs that have a colour rendering index of 85. 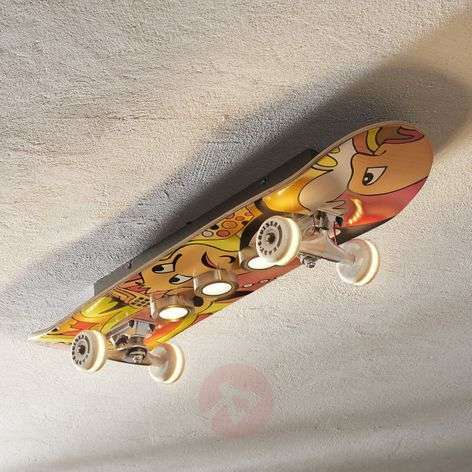 The Easy Cruiser LED ceiling light is produced in Germany and captivates skateboard fans young and old alike, thanks to its excellent design. Very bright and well finished. Highly recommended.